Raw amaranth leaves: This food has a low quantiti of food energy, total lipid and carbohydrate but has a high quantity of calcium, vitamin c and folate, total. Raw arrowhead: Raw arrowhead is high potassium. On the other hand. is low in total lipid, total dietary fiber and total sugars. Raw asparagus: In food has a low quantity of food energy, total lipid and carbohydrate. Raw bamboo shoots: In food has a low quantity of food energy, total lipid and carbohydrate. Canned shellie beans: In food has a low quantity of food energy, protein and total lipid. Raw green snap beans: In this food there are some nutrients that are found in low quantity, for example food energy, protein and total lipid. Raw beets: High in folate, total, food folate and folate and low in food energy, protein and total lipid. Raw beet greens: This food is low in food energy, total lipid and carbohydrate but Raw beet greens has potassium, vitamin a and beta-carotene in high quantity. Raw broccoli: This food is low in food energy, total lipid and total sugars but Raw broccoli has vitamin c, lutein+zeazanthin and vitamin k in high quantity. Raw broccoli raab: High in food folate, beta-carotene and vitamin k and low in food energy, total lipid and carbohydrate. 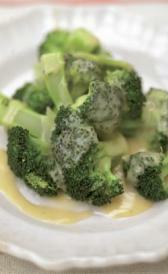 Cooked broccoli raab: Cooked broccoli raab is high food folate, vitamin a and beta-carotene. On the other hand. is low in food energy, total lipid and carbohydrate. Raw brussels sprouts: This food is low in food energy, total lipid and sodium but Raw brussels sprouts has vitamin c, lutein+zeazanthin and vitamin k in high quantity. Raw burdock root: In food has a low quantity of protein, total lipid and sodium. Raw (fuki) butterbur: This food is low in food energy, protein and total lipid but Raw (fuki) butterbur has potassium in high quantity. Canned butterbur: Canned butterbur is low in food energy, protein and total lipid. Raw cabbage: Raw cabbage is high vitamin k. On the other hand. is low in food energy, protein and total lipid. Raw red cabbage: High in vitamin c and low in food energy, protein and total lipid. Raw savoy cabbage: This food is low in food energy, protein and total lipid but Raw savoy cabbage has food folate in high quantity. Raw cardoon: In food has a low quantity of food energy, protein and total lipid. Raw carrots: High in vitamin a, vitamin a and alpha-carotene and low in food energy, protein and total lipid. Unprepared frozen carrots: This food is low in food energy, protein and total lipid but Unprepared frozen carrots has vitamin a, vitamin a and alpha-carotene in high quantity. Raw cassava: In food has a low quantity of protein, total lipid and total sugars. Raw cauliflower: This food has a low quantiti of food energy, protein and total lipid but has a high quantity of vitamin c.
Raw celeriac: Raw celeriac is low in food energy, protein and total lipid. Raw celery: In food has a low quantity of food energy, protein and total lipid. Raw celtuce: Raw celtuce is high vitamin a. On the other hand. is low in food energy, protein and total lipid. Raw swiss chard: This food has a low quantiti of food energy, protein and total lipid but has a high quantity of vitamin a, beta-carotene and lutein+zeazanthin. Raw fruit chayote: Raw fruit chayote is high folate, total and food folate. On the other hand. is low in food energy, protein and total lipid. Raw witloof chicory: In this food there are some nutrients that are found in low quantity, for example food energy, protein and total lipid. 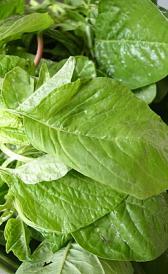 Raw chicory greens: High in folate, total, food folate and folate and low in food energy, protein and total lipid.